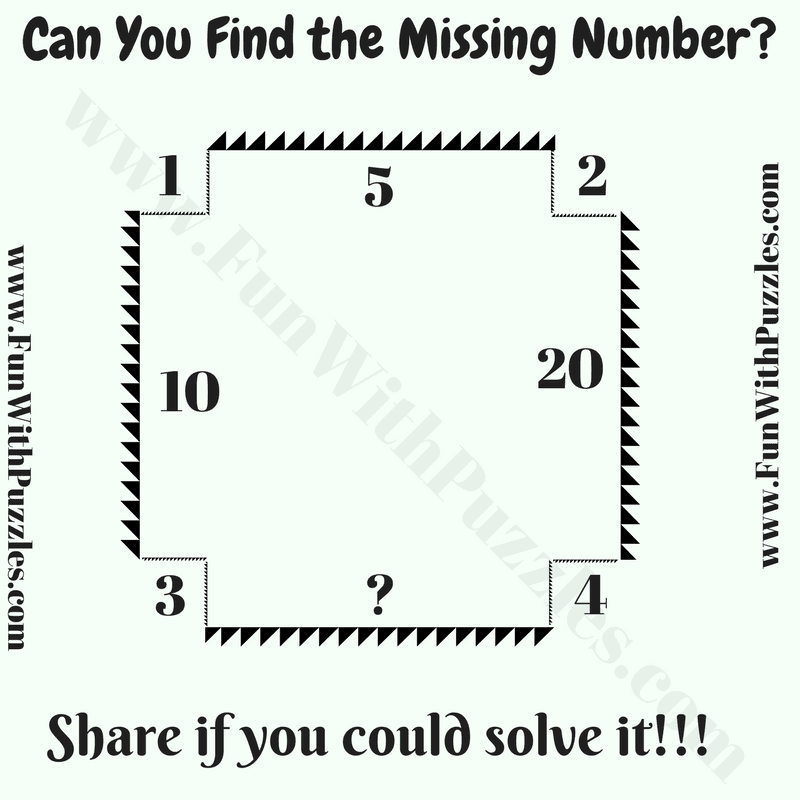 This Maths Picture Puzzles for school going teens students. 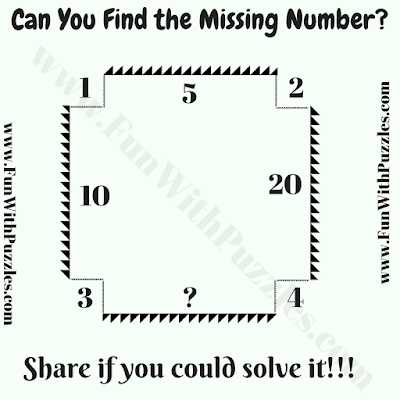 This will test their logical reasoning as well as Mathematical knowledge. In this Maths Picture Puzzle number inside and outside a Rectangle are given which relates to each other by some pattern or sequence. Can you find the reasoning which links these numbers and then find the value of the missing number which will replace the question mark? Can you find the value of missing number? The Answer is 25. Number inside the Rectangle is sum of squares of number outside the Rectangle along the same side of Rectangle.